*On the first day, the exhibition will open after the opening ceremony (11:00am-). From the late 19th century to the early 20th century, art glass in France entered the golden age. 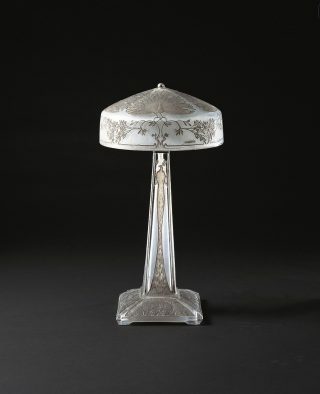 Emile Gallé (1846-1904) of Nancy developed Art Nouveau glass from the late 19th century in the motif of colorful nature. 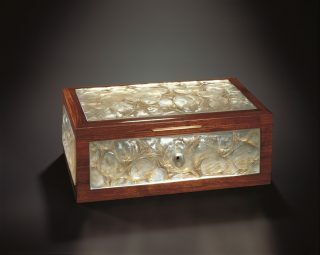 In contrast to him, René Lalique (1860-1945) created Art Deco, a modern style in the beginning of the 20th century. 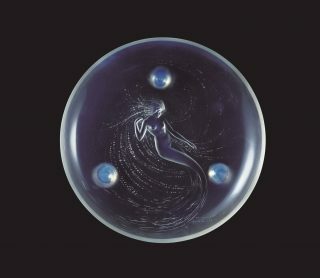 Lalique spent the first half of his life as a jewelry artist and had great success winning the grand prix at the 1900 Paris Exposition. After he reached fifty, he challenged art glass and attracted worldwide attention at the 1925 Art Deco Exposition. 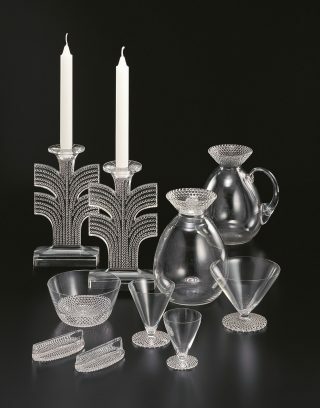 Lalique introduced glass in a variety of areas from a perfume bottle to architectural decorations, proposing a modern lifestyle. 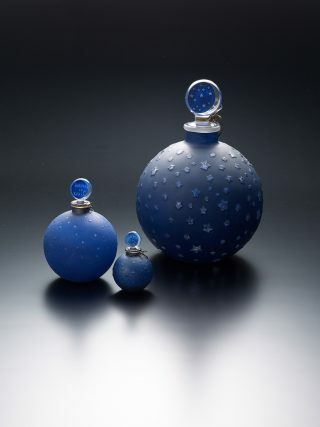 Kitazawa Museum of Art in Suwa City, Nagano Prefecture, which is known for its Gallé’s collection, owns one of the greatest collections of glass artworks by Lalique. 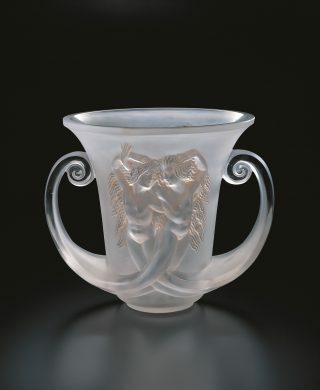 In this exhibition, we introduce major works of Lalique from Kitazawa Museum’s collection. * Combined ticket with “MARTA KLONOWSKA　Istota” is available. THE KITANIPPON SHIMBUN, THE TOYAMA SHIMBUN, Kitanihon Broadcasting Co., Ltd., Tulip TV INC., Toyama Television Broadcasting Co., Ltd.